Shortly after arriving home from work on Friday evening, the air conditioner at my home decided to quit working. Well crap! A little investigation and I soon discovered that the blower motor on the outside condenser unit had given up. This left me with two options. Call the HVAC folks for a Saturday call out ($$$$) or replace the motor myself. There is a parts store in my area that opens on Saturday, from 9am-noon, and should have what I need. So after a hot and sticky night, I got up early and dismantled the condenser unit, pulled out the dead motor and headed into town. I was there ten minutes before they opened and there were two other gentlemen waiting. They both had dead condenser blower motors in their hands. At least I wasn’t alone in my misery and we all shared a chuckle. The shop had the motor that I needed and I was headed home in less than fifteen minutes. Of course the fan blade assembly was rusted fast to the old motor shaft. A little penetrating oil, heat from a propane torch and hammer persuasion had it off in no time though. Everything was reinstalled and assembled. The cool air is once again flowing and I don’t have to take a second job to pay off the HVAC man. If you need some practice in dados, I’ve got the project for you. 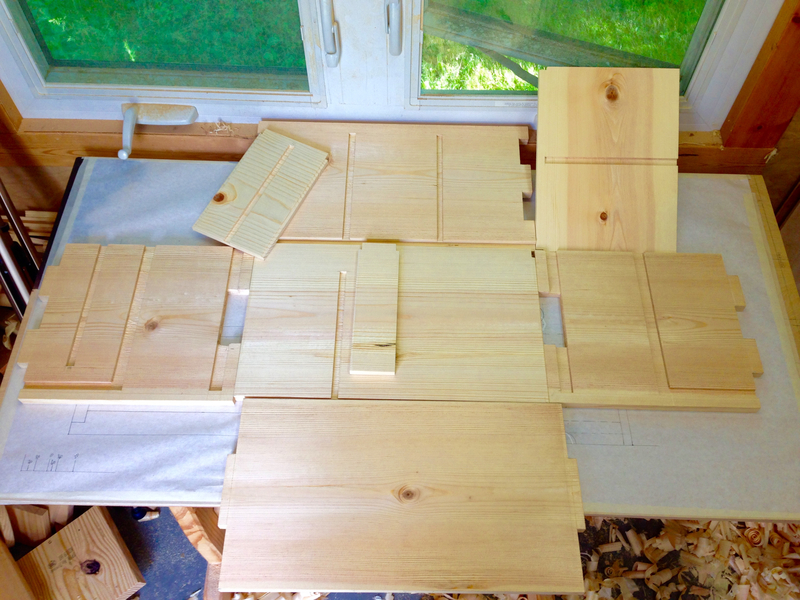 I think I have all the dados cut at this point. 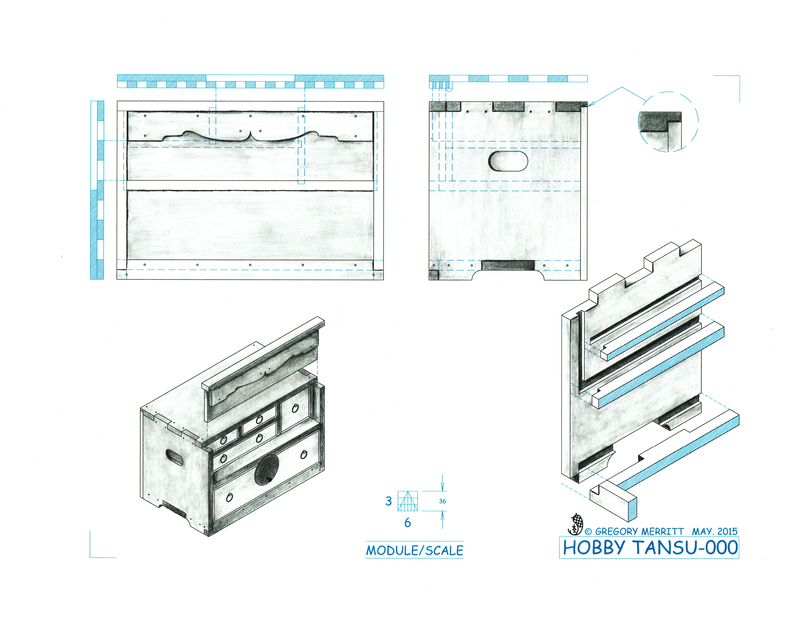 The last of which are for housing the interior dividers. What can I say, their dados. Mark them, chop them and level them. Again and again and again… A quick dry fit. All of these wide #2 grade boards contain some portion of the center of the log from which they were cut. So a little cupping is to be expected. As evidenced by the visible gaps in the dry fit above. The dados flatten out the interior panels and the exterior ones will draw up tight and flat when the assembly is glued and pinned. 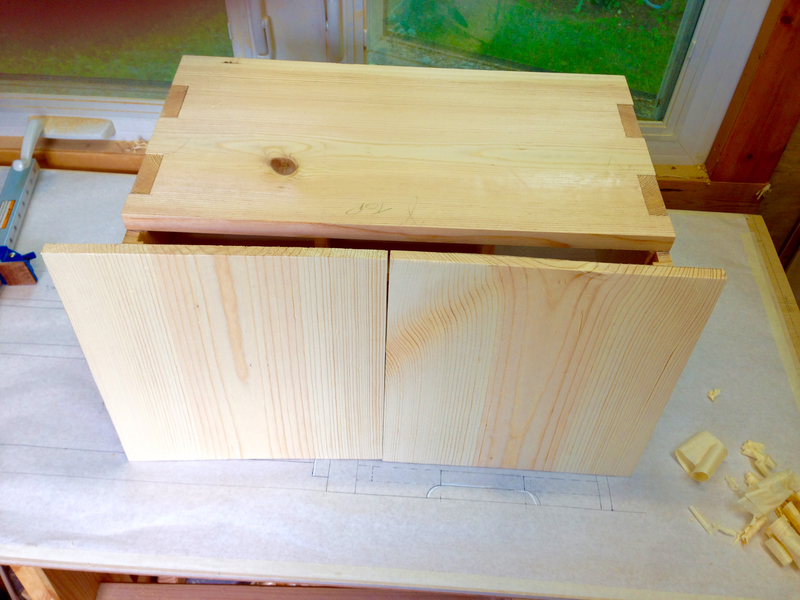 I finished up the day by rough sizing and thicknessing the two rear panels. 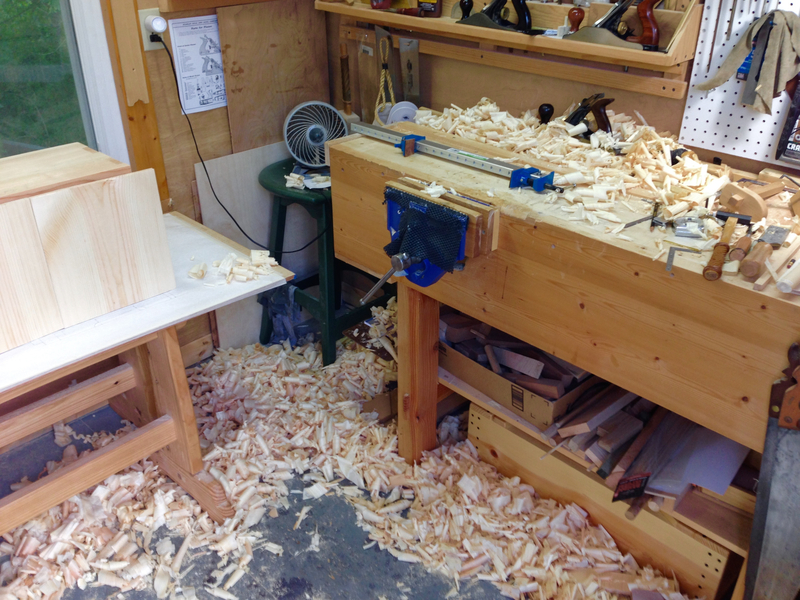 It’s surprising how many shavings are generated when thicknessing a few boards. 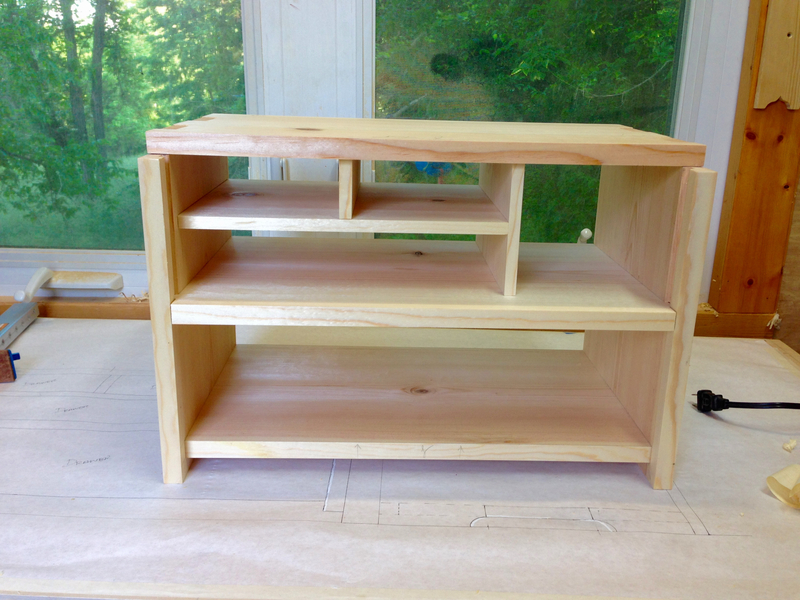 This entry was posted in Hillbilly Hobby Tansu-000 and tagged Hillbilly Tansu Project, tansu, Woodworking. Bookmark the permalink. It looks like thicknessing those boards could have been real unpleasant if you hadn’t fixed the AC first! Ha…only because it stopped the wife complaining. There is no AC in the shop and it was in the mid 80’s. Stuff blowing up like that is a serious threat to any project. You were lucky that you could get a spare part in town. Luckily when it comes to mowing the lawn, Our oldest son (12) loves to do it. He can cash in 50 Danish kroner (around 8$) for the job, which is quite reasonable considering the time it takes. Small chests of drawers or tansu’s look so appealing, I have to make sure not to show my wife your blog. Yep. When things break down there is always a threat to both time and money. I’m lucky there are still two shops in town that sell parts to actually fix things. One sells parts for HVAC and the other specializes in appliance parts. LOL, I get that a lot. No one’s wife is allowed to look at my blog. You can’t beat the utility of a small chest with several drawers in it though. “Maybe it’ll rain and I’ll get out of mowing”. That sure makes you a glass half full guy! I absolutely detest mowing grass!